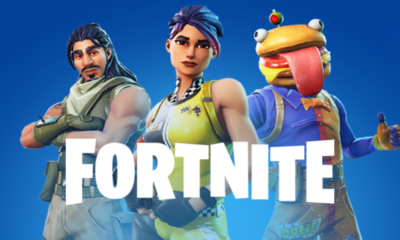 This new Fortnite Season 5 Week 4 guide will help players to complete them beforehand without any issue. This guide will help save the time for the players who want to focus more on combat and also want to win rewards. Some of the new challenges in this guide are eliminating the enemies in Dusty Divor, Damage Challenges, Flush Factory and exploring various areas. Just like every other week, the developers give fans a new set of challenges. They can complete them in order to progress further in season 5 as well as gaining different rewards and Battle Pass. Moreover, these challenges are really different from one another. To complete them within the time limit, players really have to do some grinding and hard work. Let’s move forward and take a look at this week’s challenges and how to complete them. In this Fortnite Season 5 Week 4 guide we’ll first take a look at 3 public challenges and 4 Battle Pass Challenges. The first challenge requires the players to build as many structures as they can. This is a really easy challenge and players can complete it as soon as they make enough structures. Of course, players usually make these structures while someone is shooting at them. But this challenge requires them to build them whenever they find the chance and some wood to complete the task. This is a tricky challenge for the players. Not only they have to jump across hoops on a cart but also these hoops are on flames. Players have to do this process at least 5 times in order to complete the challenge. This is one of those challenges which requires some practice beforehand. In this challenge, players will have to eliminate 3 enemies in Dusty Divor. Players can start right-off by dropping in the outskirts of this place. In the next step, players have to find the best gear they can. However, players have to wait for the enemies to arrive in this area. Once they are in the sight drop them slowly or in any way you deem fit. Now let’s hop onto the next challenges which require Battle Pass. There are 4 Battle Pass challenges for the player who have purchased it. In this challenge, the players need to deal 500 damage to the enemies while using the sniper rifles. The best way to complete this challenge is to keep your distance. Additionally, players need to stay near the open areas but behind some good covers. Players can start by dropping into the city areas and find a sniper rifle. The trickiest part of this challenges it to locate a sniper rifle as these are not easy to find. Of course, players have to fall back for the open areas and remain behind cover. This is a rather easy challenge having no ticks at all. The players have to find 7 chests in the Flush Factory. In order to do that players can simply move inside the Flush Factory and locate the chests as well as survive. The challenge does not require the players to complete it in a single game so they can also use multiple games to do this. Pistols are mostly used for close combats. The best way to complete this challenge is to find the pistols at the beginning of the game. In this way, you won’t have to worry about the other players to find any other advanced weapons. That is all from Fortnite Season 5 Week 4 guide. Hope you finish all the challenges in time.